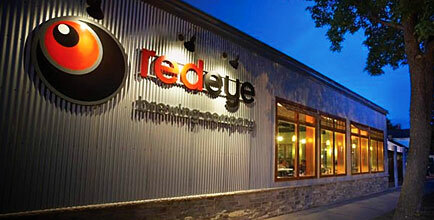 Red Eye Brewing Company has been serving creative foods, paired with hand-crafted beers in our hip atmosphere since spring of 2008. 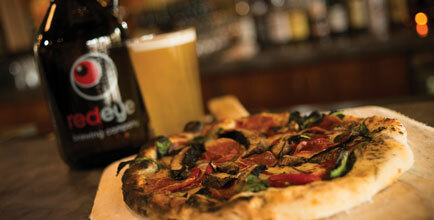 Our menu features wood-fired pizzas, along with salads, and sandwiches...including our famous Red Eye burger, recently voted the best in Wausau! 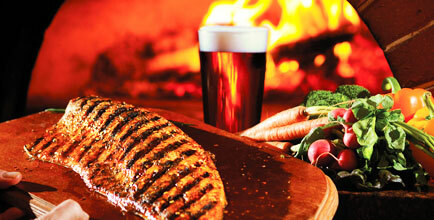 Stop down and enjoy our great staff...relax with a cold craft beer, and dine on our delicious food! 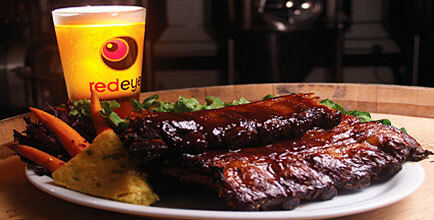 Our craft beer and food are available for carryout! Mon-Sat: 11am to Close, Closed Sundays. Available for private parties.